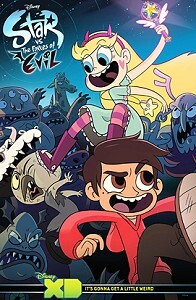 Star vs. the Forces of Evil is an American animated comedy adventure television series produced by Disney Television Animation. The first episode was shown in January if 2015 of Disney Channel. 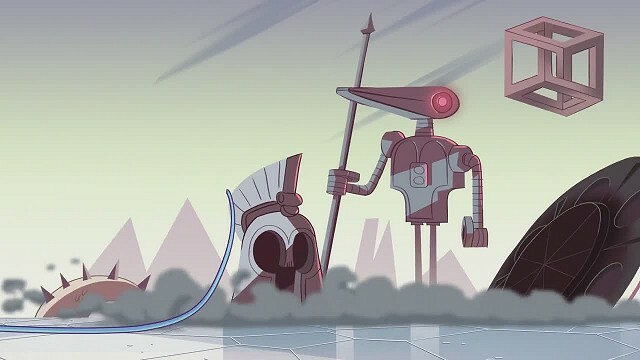 The story follows Star Butterfly, a magical princess from the dimension of Mewni. On her 14th birthday, she receives the family heirloom wand. 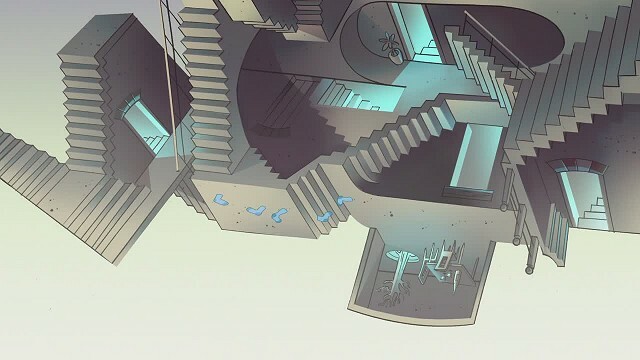 However, after she accidentally sets fire to her castle, her parents decide that a safer option is to send her to Earth as a foreign exchange student. 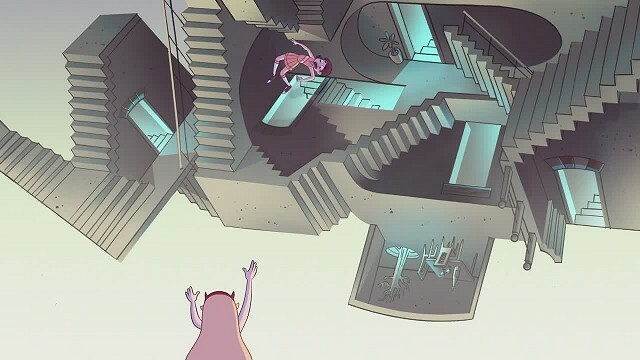 In episode 12 "Interdimensional Field Trip" of the 1st season we see impossible cube and construction, which was inspired by Escher's artwork Relativity.